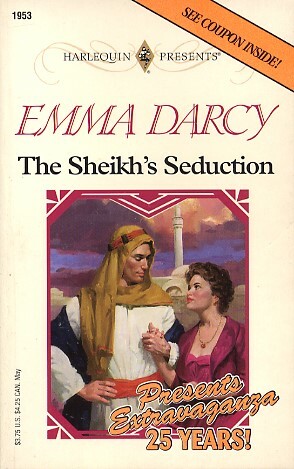 With her family's future happiness in Tareq al-Khaima's all-controlling hands, Sarah Hillyard was persuaded to become the sheikh's traveling companion for a year. She remembered his gentleness toward her as a young girl, but now she suspected Tareq's scheme was a calculated means of getting closer to the beautiful woman she had become - with no promise of commitment on his part. Tareq calaimed to have lost the capacity to love and he was so totally self-contained, so frustratingly untouchable that Sarah surprised herself by wanting to find out how he would react if she turned the tables - and set about seducing him! Australia: In Bed with a Sheikh!